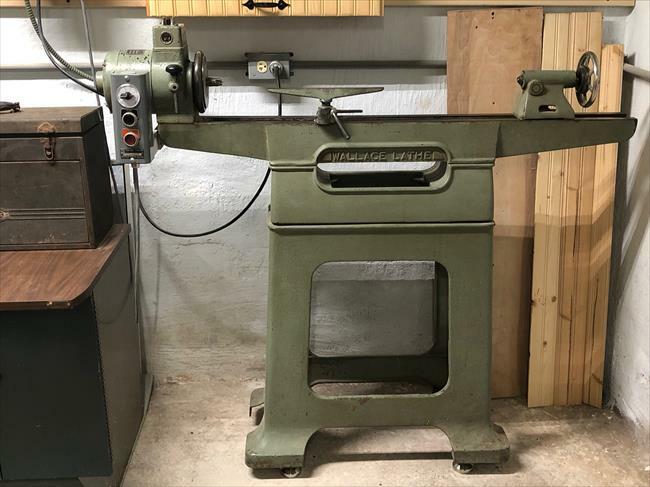 Machine Size: 7" x 36"
Traded for this machine 30+ years ago. 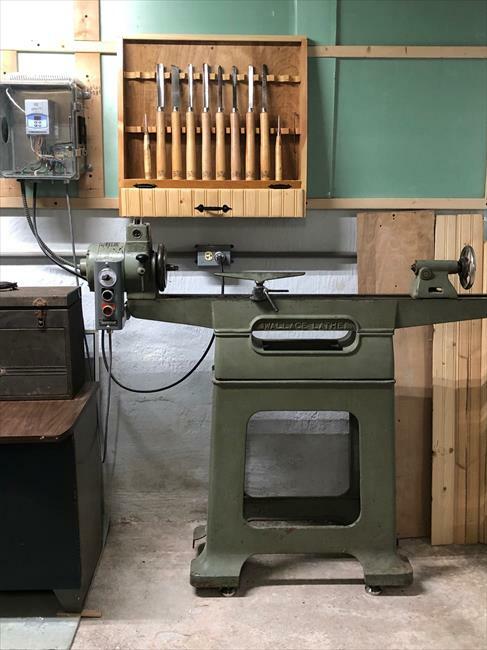 The former owner had two identical wallace lathes. 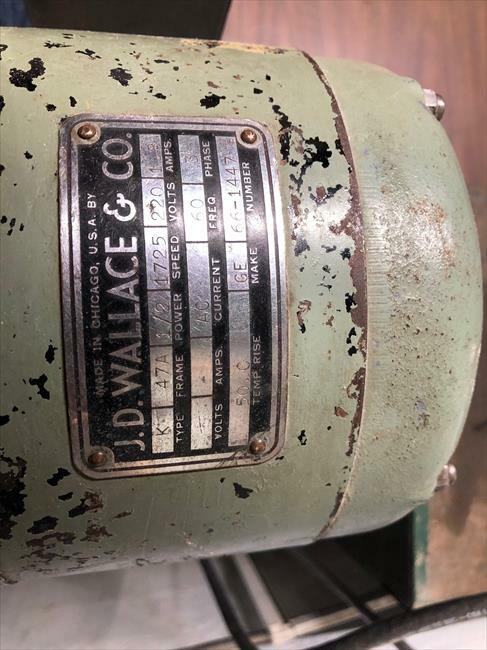 This is a three phase machine which was formerly run using a homemade rotary phase converter using 220 volts single phase. Since my new shop only has 110 volt single phase, I recently installed a vfd with remote start, stop, and speed control.